How does society function when you can't trust everyone? When we think about trust, we naturally think about personal relationships or bank vaults. That's too narrow. Trust is much broader, and much more important. Nothing in society works without trust. It's the foundation of communities, commerce, democracy, everything. 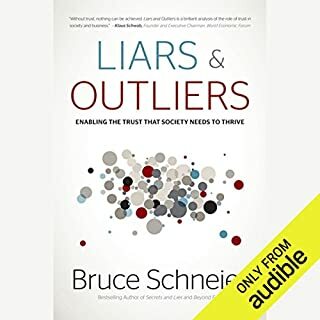 In this insightful and entertaining book, Schneier weaves together ideas from across the social and biological Science & Technology’s to explain how society induces trust. In late 2010, thousands of hacktivists joined a mass digital assault by Anonymous on the websites of VISA, MasterCard, and PayPal to protest their treatment of WikiLeaks. 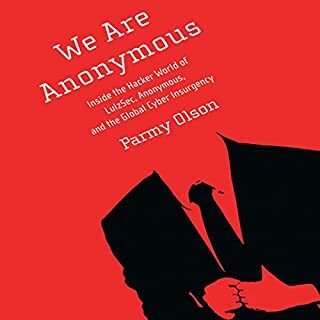 Splinter groups then infiltrated the networks of totalitarian governments in Libya and Tunisia, and an elite team of six people calling themselves LulzSec attacked the FBI, CIA, and Sony. They were flippant and taunting, grabbed headlines, and amassed more than a quarter of a million Twitter followers. There is a Threat Lurking Online with the Power to Destroy Your Finances, Steal Your Personal Data, and Endanger Your Life. ©2014 Brian Krebs (P)2014 Brilliance Audio, all rights reserved. The book covers the interactions and major dealings by major players in the Russian email spam industry circa 2003-2011, with a short "Where are they now?" style final chapter. 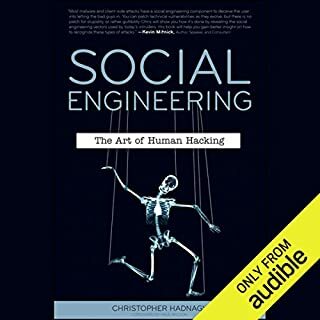 Definitely recommended for anyone curious about where all the spam came from, how it propagated, or simply interested in a bit of history in InfoSec. You can tell it's written by a journalist though. Krebs likes to repeat himself in his explanations a bit. This is fine for reader/listener comprehension, but gets a little tiresome when listening for longer periods at a time. you can tell Krebs put a lot of detailed work into the research of this book. however the translation of this material into an interesting book is a fail. i spaced out in parts and couldn't wait for the end. 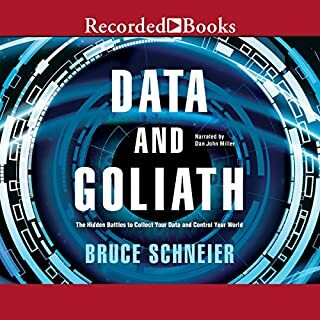 Not only would I recommend it to my Cyber Security Colleagues, I will and have recommended it to a number of technical & non-technical & Leadership professionals that can use the stories in Brian's book to put some context around many of the things we encounter everyday...anywhere from a DDOS attack, phishing email or stolen credit card numbers. I enjoyed the level of detail that Brian was able to provide - you can't make this stuff up! It takes a great story teller to explain the technical crud and avoid putting your audience to sleep. Brian does a good job grabbing you, let go a few times, and then loops everything back around in the end. I really liked That he was crazy enough to travel overseas and meet some of these people...it's not for the faint of heart, and I will bet that Brian was much more nervous than he let on. unfortunately, I have a bit of a personal conection to a few chapters from the book...not with Mr. Krebs, although I have seen him at a couple industry events. My biggest reaction was more of - ahaaa, that is why this stopped happening, or "that explains a lot". I did the kindle and audio versions, the audio was great, but I had to get past the Russian narratives, after a while, ey just became funny parts of the story...as They were probably meant to be. 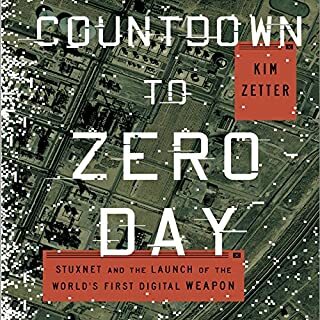 I expected a wonky technology book but found myself caught up in the drama and colorful personalities of a virtual war that impacted all of our lives, though most knew little about. I was equally impressed with the narrator's ability to to switch between accents and reflect the personalities of the subjects involved. By far one of my favorite audiobooks to date. Gives a good insight in to the world of spam. I am glad but very surprised the bad guys left the author alone, considering how he exposes their operating methods. What made the experience of listening to Spam Nation the most enjoyable? What didn’t you like about Christopher Lane’s performance? I really enjoyed this book. Once you get past Brian Krebs love of himself, it's very informative. I'm a frequent visitor of his site and this book goes along with some if the things he writes about. Great listen. Even though we have good filters on our e-mail programs these days and no longer see all the spam, the author maintains it is a critical problem. Krebs claims the crooks are no longer content with standard commercial fraud, e-mail criminals infect millions of computers worldwide with toxic digital parasites, designed to extort our wealth and steal our personal data. Krebs states that Russia is the key spam Nation with skilled hackers and corrupt police and is now the global epicenter of cyber crime. Krebs says Visa and MasterCard are starting to successfully shut down spammers. 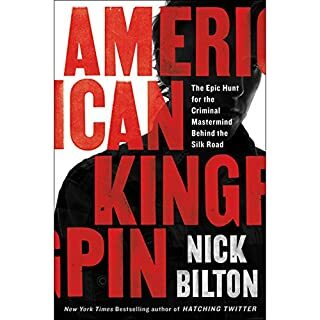 The author says Microsoft and other such companies are becoming successful shutting down “botnets.” Krebs tells of the frightening world of cyber criminals and reveals some of the success in fighting it. The information is interesting but the author had problems staying focused on the main topic. The writing was jerky at times making for a difficult read but the topic was interesting enough to overcome the writing difficulties. I am glad I listened to this book rather than read it because of all the Russian names. I would not know how to pronounce them. Christopher Lane narrated the story. Great story, very insightful. Some names in Russian weren't accurately pronounced but its not a big deal. 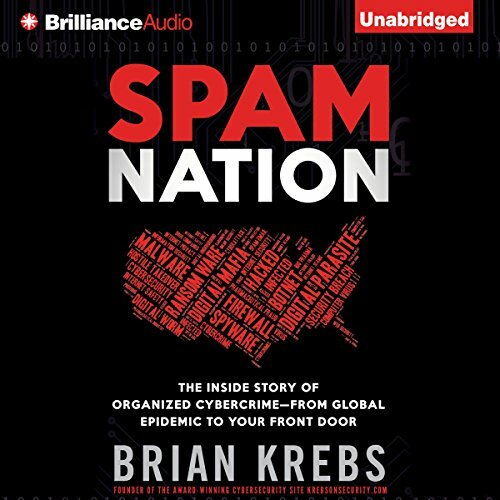 Great book that really digs into the spam problem and what drives those to spend so much time and effort sending spam. Very disappointing book on a few levels. While the book takes you through a bloated account of the stories of some of the key figures in the Russian Spam "industry", the book focusses almost no attention to some of the other aspects of spam - i.e. in particular the stories about the people who click on spam messages and why. There is some token coverage of some anecdotal accounts of people who buy pills from Russian spammers, but no serious attempt to ascertain the quality of the drugs supplied. For what is a huge worldwide online pill industry, Krebs struggles to come up with more than a small handful of people to interview about it. And while Krebs makes brief mention of other well known spam operations, no real light is ever shed on the people who are "victims" of spam. The narration is also hilariously bad - why it was decided to use Russian accents for some of the people when straight English would have sufficed is curious. All the Russian characters sound like Boris from Rocky & Bullwinkle. Overall the book just seemed like one long, boring infomercial for the author's website.